When it’s time to elevate the look and feel of your property, make My Flooring America your first stop. We are your source for wood-look tile in Sugar Land, TX. With our versatile selection, sensible pricing, and complete approach to customer service, you have the tools and resources to improve your property. Visit our flooring showroom and get picture-perfect results. Durable: Ceramic and porcelain are strong. Thanks to their composition, this flooring material will resist scuffs, scrapes, impacts, and everyday foot traffic easily. Waterproof: There’s no need to worry about warping or water damage with porcelain and ceramic wood tile. Now, you may enjoy that wood look in kitchens, bathrooms, and basements. Easy to Clean: Tile that looks like wood repels spills and stains. As a result, you will spend less time and energy cleaning, and more time doing what you love. 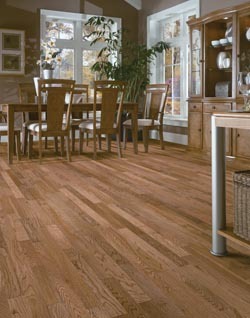 Design-Friendly: Wood grain tile is available in the appearance of popular wood species, like oak and mahogany. Now, you can give your favorite spaces a natural ambiance. Get the right materials for the project. We are here to help you at every step of your project. We have teamed up with the well-known flooring manufacturers to provide a robust selection of your products. Our catalog of wood plank tile flooring is at our showroom, where you may view samples and find your favorites. If you aren’t sure where to begin, let us know! We can arrange an in-depth consultation, where we will discuss your project goals and needs. Our experienced team members are highly knowledgeable about flooring, and well will help you find the right products for your property. A successful installation ensures your investment looks great and remains strong for years to come. When it’s time to add your new, favorite flooring to your property, you may count on us to get the results you want--and all according to your schedule. We can facilitate professional installation services thanks to our extensive network of contractors. Let us know about your project parameters, and we’ll connect you with qualified installers near you. Contact to learn more about our selection of wood-look flooring. We proudly serve customers in Sugar Land, TX, including Missouri City, Stafford, Fort Bend, Sienna Plantation, and the surrounding area.